A recent research report showed that people check their smartphones over 150 times a day! Now imagine if a device existed, that could cut the number of times that a user needs to check his phone to know whether or not something important is happening by ½ or more? What if every interaction that a user had with his phone could become purpose-driven and that people could live their lives without the worry of missing something important? 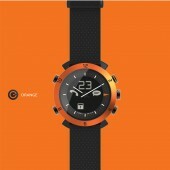 The COGITO watch is that device. The COGITO watch equipped for easy to scan, high contrast pixel with iconic display thus providing detailed information to the user through custom icons, caller ID and the number of pending notifications. You can dismiss notifications with a quick double-tap of the watch's dial, or acknowledge notifications with a single tap. 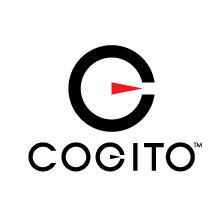 When coupled with the COGITO CONNECTED WATCH app, the COGITO watch simplifies your life by reducing interruptions and the urge to check your phone, and gives you control while it is out of reach. 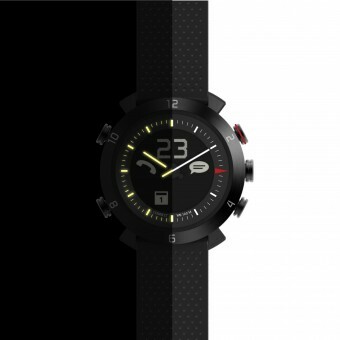 The COGITO watch equipped easy to scan, high contrast mixed icon and pixel LCD display thus providing detailed information to the user at a glance through custom icons, caller ID and the number of pending notifications. Furthermore, it is equipped with an intuitive new Tap to Act™ contextual interface driven by a smart accelerometer system. Tap to Act™ lets users dismiss notifications with a quick double-tap of the watch's face, or acknowledge notifications with a single tap. Furthermore, users can simply tap the watch face (or any button) to illuminate the display in the dark using the COGITO watch’s high-output electroluminescent (EL) backlight. The project started in March 2013 in Seattle, USA and will be finished in Hong Kong in October 2013. Worldwide launch will be in November 2013. Typical smart watches require weekly or even daily recharging. Unlike the other smart watches, however, the COGITO watch uses Bluetooth® 4.0 LE wireless technology and can therefore last 6 months or more on a single, standard user-replaceable CR2032 button-cell battery. 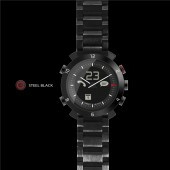 • Display Type : Analog for the clock, Digital display for notifications • 6 x LCD icons on watch dial • Dot Matrix display for enhanced notifications • 2 analog luminescent hands • Japanese analog movement with luminescent hands • Standard CR2032 button cell battery (no recharge required) • Nickel Free Nylon Casing TR90 • Brushed Stainless Steel bezel (Black, Silver, White) and Sandy Aluminum bezel (Purple, Orange, Green) • Mineral anti-scratch glass • Stainless steel, genuine leather, or silicone band • Case Diameter : 44mm • Case Thickness : 17mm • Bluetooth® Smart Technology • Water Resistant : 10 ATM • Color : Orange, Green, Purple, Silver, Black and White • App supports iOS7 and select Android 4.3/4.4 Bluetooth SMART-ready devices including the iPhone (5S, 5C, 5 & 4S), iPad (4th & 3rd gen.), iPod touch (5th gen.), Samsung Galaxy S4, HTC Sense, HTC One and Nexus 5. We have conducted an extensive research to understand the behavior of “Smart Device” users, and benchmarked with products in the market to analyze the gaps in product offerings. We did numerous studies and experiments of different materials to design the unique product for different market demand. 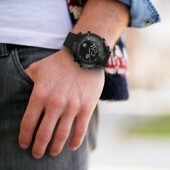 The COGITO watch is a mixed Analog and Digital watch with two completely independent systems. Each system has its own battery, to keep the watch in reasonable thickness and make the battery life last for about a year is hardest part of the design. Xavier Houy Bluetooth Connected Watch by Xavier Houy is a Nominee in Jewelry, Eyewear and Watch Design Category. · Click here to register today inorder to be able to view the profile and other works by XAVIER HOUY when results are announced. Xavier Houy Bluetooth Connected Watch by Xavier Houy is Winner in Jewelry, Eyewear and Watch Design Category, 2013 - 2014. · Press Members: Login or Register to request an exclusive interview with XAVIER HOUY. · Click here to register inorder to view the profile and other works by XAVIER HOUY. Did you like Xavier Houy's Jewelry Design? 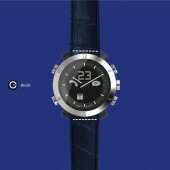 Did you like Xavier Houy Bluetooth Connected Watch? Help us create a global awareness for good jewelry design worldwide. Show your support for Xavier Houy, the creator of great jewelry design by gifting them a nomination ticket so that we could promote more of their great jewelry designs.